In 2010, when the iPhone was still exclusive to AT&T in the U.S., the carrier turned to Research in Motion and asked it to develop a touchscreen device to compete with the iPhone, a new report reveals. AT&T wasn't alone in worrying that the popularity of the iPhone could give Apple too much power, according to The Wall Street Journal. 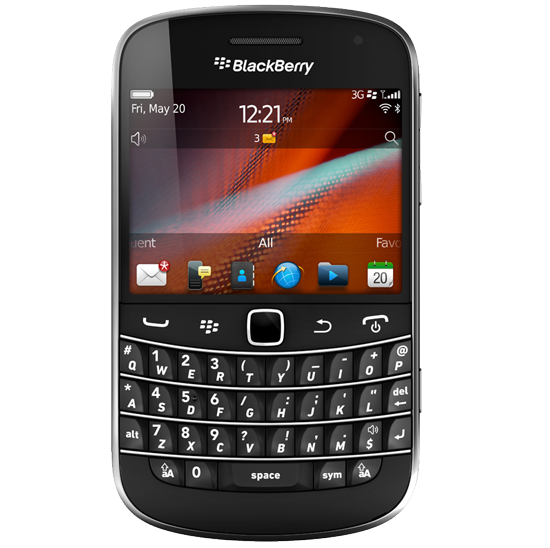 While AT&T and RIM collaborated to make the BlackBerry Torch, Verizon and Vodafone also worked with RIM on the first BlackBerry touchscreen device, the Storm. AT&T and Verizon both reportedly turned to RIM because they were concerned about the "wild popularity of the iPhone." Their goals in partnering with RIM were to prevent Apple from gaining "outsize influence in the market," the report said. The Journal's report recalls RIM's many missteps over the years in anticipation of the company's earnings report set to be released later Thursday, in which it is expected to report a quarterly loss. Among the issues at RIM was what former executives called a "split personality in the executive suite" between former co-CEOs Mike Lazaridis and Jim Balsillie. Lazaridis reportedly wanted to focus on launching a next-generation BlackBerry with a new operating system, while Balsillie wanted to turn the company around by licensing out some of RIM's proprietary technologies. One report from April revealed Balsillie's plans to use RIM's network to offer inexpensive data plans and services to non-BlackBerry devices. The company's own sales division reportedly forecast a coming shift in the smartphone market in 2010, according to people who spoke with the Journal. An internal research report found that touch-only devices like Apple's iPhone would become more popular than keyboard-driven handsets that BlackBerry was known for, but "the warning was ignored." The report also said that Balsillie wasn't worried about the consumerization of devices in the workplace, as employees began bringing their own smartphones to work and asking their employer to let them work on those devices. While some RIM executives viewed the trend as "a threat," Balsillie reportedly didn't share those views. The RIM co-founders stepped down as chairmen and CEOs of the company in January and were replaced by Thorsten Heins. But the company's fortunes have not improved so far in 2012, as RIM stock fell to single digits for the first time in eight years earlier this month. RIM announced late last month that it expects to report an operating loss for the previous quarter. The company also recently announced plans to cut 40 percent of its workforce in an effort to slash costs and turn the company around.